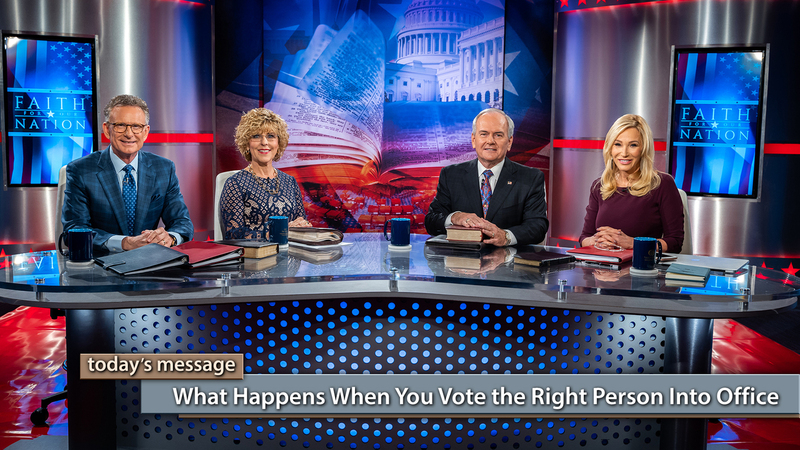 On this special "Faith for Our Nation" broadcast of Believer’s Voice of Victory, George and Terri Pearsons, Buddy Pilgrim, and Paula White-Cain share behind-the-scenes information about the faith of Donald Trump, and what happens when you vote the right person into office. Who is the right person? The one who will uphold righteous laws! Your vote for the right people in the 2018 midterm election is critical!